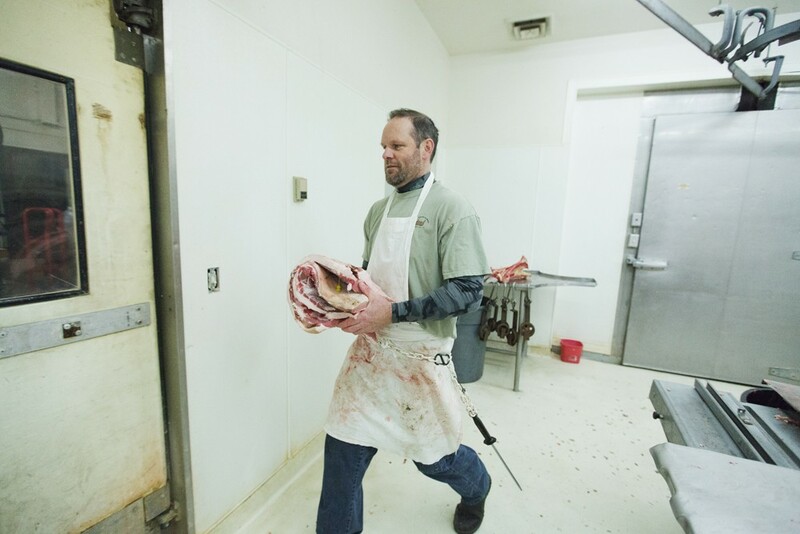 Last week, I had the opportunity photograph a pig being butchered at Tim's Special Cut Meats in Couer d'Alene, featured in this week's food section. 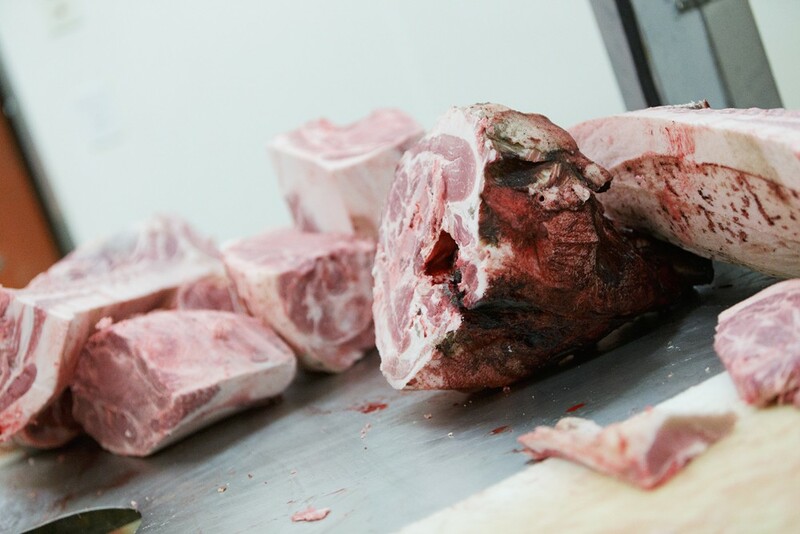 Owner Tim Branen and Meat Manager Mike Cobetto quickly processed the pig from a whole animal into the various parts we are used to eating, including roasts, chops, pork bellies and ribs. With decades of experience, Branen says that he can process an entire animal in 15-20 minutes. 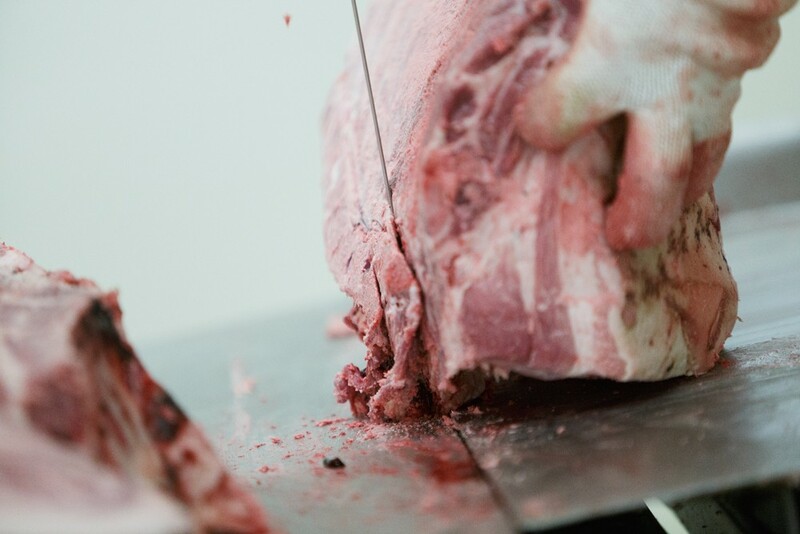 Tim Branen saws a whole pig into smaller pieces. 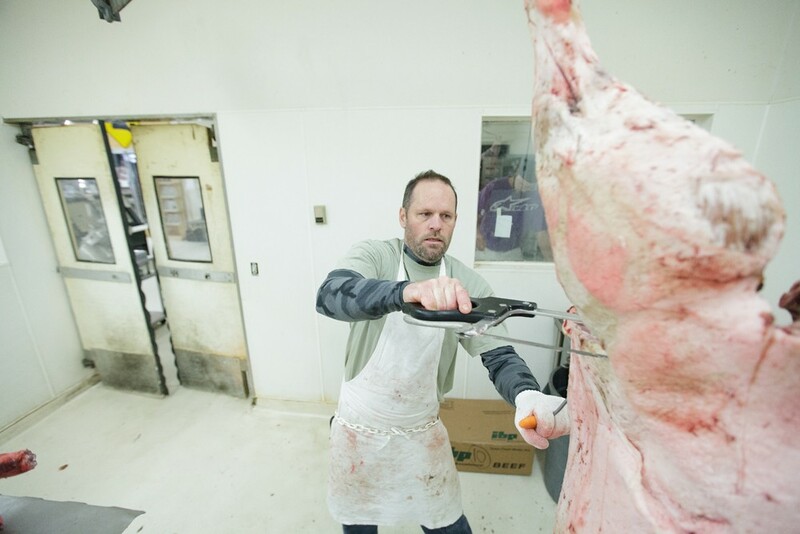 Tim Branen uses a band saw to cut through a pig. 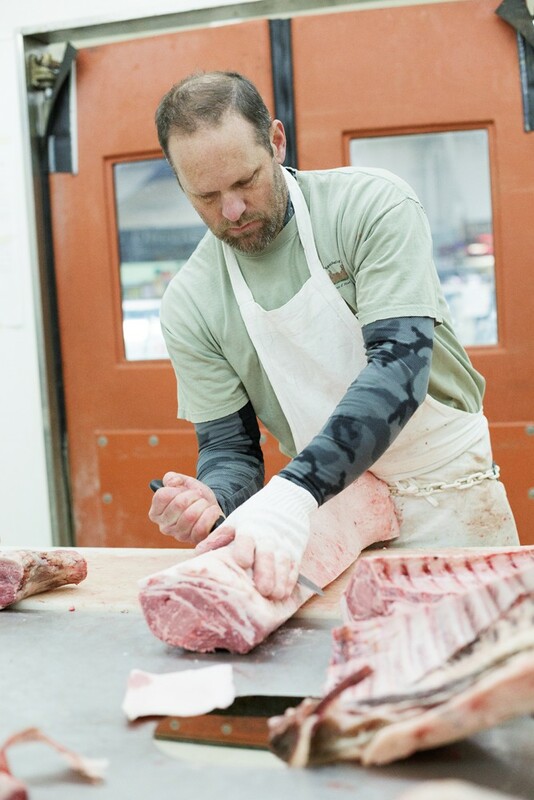 Tim Branen discards fat pieces while using a band saw to cut a pig. Tim Branen, right, and Mike Cobetto trim pork. Tim Branen removes fat from a pig. Various cuts of pork sit on a table. Tim Branen carries pork belly to be smoked into bacon.